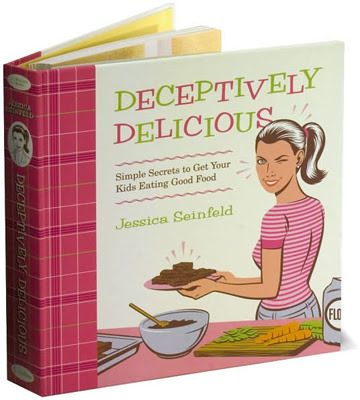 Thanks to reading other people’s blogs, I have jumped on the bandwagon and bought Deceptively Delicious so I can be sneaking about feeding my kids good food. I knew I needed to take the plunge after hearing my little boy tell him that all he wanted for lunch was hot dogs everyday. I never should of introduced that food to him! Anyway, this book has gotten me exciting not only about feeding my kids good food but also using my vegetables and fruits in unusual ways. No more throwing away spoiled food. We tried out the grilled cheese sandwiches (with sweet potatoe puree) today and it was yummy. The post Jumping on the Bandwagon appeared first on Darling Darleen | A Lifestyle Design Blog .